The Obama Administration has an unprecedented opportunity to usher in significant progress using its executive authority at a time when public opinion on Cuba policy has shifted toward greater engagement with the Cuban people while continuing to pressure the Cuban government on human rights.”So states an open letter to President Barack Obama, signed by more than 40 policy experts and businessmen, including Cuban émigré and sugar magnate Andrés Fanjul. Among the names lending their weight to the cause are John Negroponte, director of National Intelligence under President George W. Bush, and retired Admiral James Stavridis, former supreme allied commander of NATO. The letter marks the latest in a gradual warming of U.S.-Cuban relations, as each side eyes economic reforms and cooperation as a path to a new relationship. But for many, especially the younger generation, there’s only one response to such news: It’s about damn time. I saw Cuba once, through a port window on a Boeing 767. Flights from Miami to Honduras, my maternal homeland, fly over the eastern tip of the island. There wasn’t much to see but green fields and leafy trees. Had it not been for the farms and a few solitary roads, the island would have seemed uninhabited. I kept my forehead pressed to the window, like a boy catching a glimpse of something he isn’t supposed to see. I want to go to Cuba. Badly. As a Latino Millennial, I don’t know anyone my age who doesn’t want to go. We don’t want to live there, of course. We just want to take in the sights and sounds of Havana. Owing to its long political history and many cultural innovations, Cuba holds a special place in the collective soul of the Latino community. That island means something to all of us, no matter where we come from. But, because of the U.S. embargo on Cuba, which turns 54 this year, the vast majority of Americans can’t simply hop on a half-hour flight from Miami to Havana. We’re not allowed, because of something that happened a long time ago. Uncle Sam has a beef with the Castros. For most Millennials, the U.S. embargo on Cuba is as antiquated and senseless as an Amish lifestyle. We can’t think of any good reason why the United States should reserve a special antipathy toward a country (and a close neighbor at that) who has never attacked us, even though we’ve attacked them and tried to topple their government on numerous occasions. After all, what makes Cuba more dangerous than, say, Saudi Arabia, China or Russia? Then again, Millennials are too young to remember the Cold War. Some of us are even young enough to have mothers and fathers born after the Cuban Missile Crisis. That’s how distant it is for us, how removed we are from the fear and loathing. That’s how disparate Millennials and the old folks are. While there are still a few octogenarians knocking around who won’t buy German or Japanese products because of World War II, Millennials have no qualms with marrying Germans and driving Toyotas—well, maybe not Toyotas. In any case, we have no problem with travelling to Cuba; in fact, we want to go, especially Latino Millennials. The other is of well-kept 1950s cars cruising between crumbling tenements. If the experts are correct, the Millennial concept of Cuba is pretty accurate. And what we Millennials think and believe is critical, because it is my generation that will shift the debate on the Cuba embargo. Young Cuban and Puerto Rican voters in Florida are the reason President Obama was able to talk soft on Cuba during the 2012 presidential campaign and still carry the Latino vote in Florida, a crucial swing state. Millennials are also the Chomskyite generation. We believe that American imperialistic policies, while not the cause of all of the world’s ills, are still a great threat to peace and the self-determination of peoples worldwide. That is why we believe plenty of blame can be placed on both sides of the Florida Straits, and why we believe opening up Cuba first requires opening the United States to Cuba. The Millennial position on Cuba is founded on a specific understanding of the events leading up to and following the Cuban Revolution. According to this history, Cuba was carved out to American corporations by the Batista dictatorship, which enjoyed the full backing of the U.S. government, before it didn’t. Fidel, Che and a ragtag group of guerrillas freed the Cuban people of Batista and his ways and founded a republic based on the principles of Marxism—which, among other things, meant nationalizing foreign assets in the country. Uncle Sam postured, Cuba partnered with the Soviet Union, and Uncle Sam launched a failed invasion of the island. Then there were those 13 days in October 1962, and for the past handful of decades the United States has waged a quiet war on Cuba. In the meantime, the Castro regime has eradicated illiteracy and the health issues Cubans once suffered from. 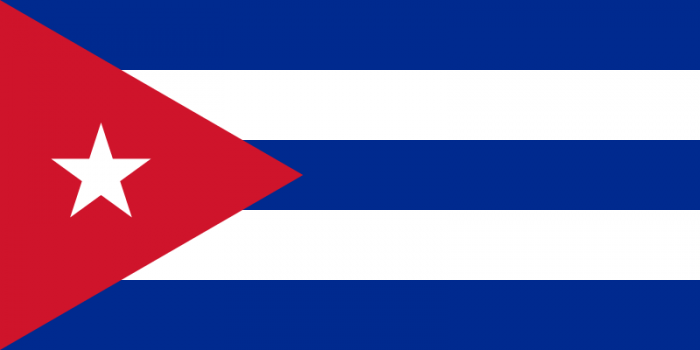 Education and health care have been deemed rights and are provided to all Cubans free of charge. Such achievements have earned Cuba much praise worldwide, which, because the antagonism between Cuba and the United States is well known, comes at the expense of Washington. As the human development index of the United Nations makes clear year after year, Cuba should be the envy of many other nations, ostensibly far richer. [Cuba] demonstrates how much nations can do with the resources they have if they focus on the right priorities—health, education, and literacy. As recently as January of this year, Senator Tom Harkin (D – Iowa), chairman of the Committee on Health, Education, Labor, and Pensions, ruffled a few Cold War feathers after his recent trip to Cuba, saying during a press conference that Cuba is a “poor country, but they have a lower child mortality rate than ours. Their life expectancy is now greater than ours. It’s interesting—their public health system is quite remarkable.” This spurred Cuban-American Senator Marco Rubio (R – Florida) to deliver an impassioned speech from the floor of the Senate, explaining why it was imperative that the United States still despise the Cuban government. Perhaps the Castro regime’s greatest success, however, is as a brave and outspoken critic of U.S. foreign policy, especially in the Americas. Whereas Washington vilifies Fidel and now his brother Raul, the Castros have come to be admired and respected among several heads of state, including Brazilian President Dilma Rousseff (who sat with Fidel in his home this past January), the internationally popular Uruguayan President José Mujica (who did the same), the late Venezuelan President Hugo Chávez (who considered Fidel a “mentor” and a “brother”) and, most notably, the late South African President Nelson Mandela (who called the Cuban Revolution “a source of inspiration to all freedom-loving people”). We Millennials see all of this, we read the words of Fidel and Che, and we can’t help imagine what could have been had things gone differently, had the United States actually worked with Cuba instead of against it. We also cannot (and should not) ignore the way things are in Cuba today. The Cuban economy is weak, but, worst yet, the Castro regime has adopted totalitarian methods to prolong itself, killing free speech and a free press, and outlawing political dissent. Only one party is allowed in Cuba —the Communist Party— and, notwithstanding the venom of party politics described by our own founding fathers, any society that only sanctions one party and outlaws all others does not merit the label of a true democracy. Millennials understand all of this. It’s not like we think the Castros are a wholesome bunch; we simply believe time has proven the embargo ineffective, and that, if anything, the embargo does more to hurt the Cuban people and keep the regime in power. Plus, the North Koreans have lived in isolation for over a century, yet the regime there seems as secure as ever. That’s because democracy and freedom, like any good ideas, are highly contagious. Enforcing a blockade on an island or otherwise isolating a people away from the rest of the world places them in a kind of quarantine where good ideas can’t get to them, at least not easily. With little to compare their conditions to, an oppressed people might accept a lot, conditions that a free people would instantly throw off. People don’t miss what they don’t know they don’t have. And that’s not to say the Cubans and the North Korean will never rise up. Of course they will. It’s inevitable, so long as the thirst for freedom is innate in every human being. But isolation and blockades enable regimes to fully desensitize their citizens to constant abuses. When oppression becomes reality and freedom a distant dream, the overwhelming majority of people will lower their heads and bear whatever the government lays on them. So let’s end the embargo already. Let Americans travel to Cuba freely, so both sides can get a good look at each other and see what the other has or doesn’t have. There is plenty we can learn from each other. Let’s have economic partnerships that give Cuba something shown to fuel democracy wherever it is found: a growing middle class. We need not fund covert fake Twitters to subvert the government, when the real Twitter would be 100 times as effective. We can sell them American-built cars, and they can send us their doctors, which are badly needed in the United States. In almost anyway you look at it, it’s win-win. But, in the end, it comes down to democracy. Let the people decide for themselves. The Cuban people are the only ones who must decide if they want to be more like the people living 90 miles to the north. That requires the people of Cuba to familiarize themselves with American-style democracy, which, at the moment, doesn’t allow its citizens to travel to Cuba.